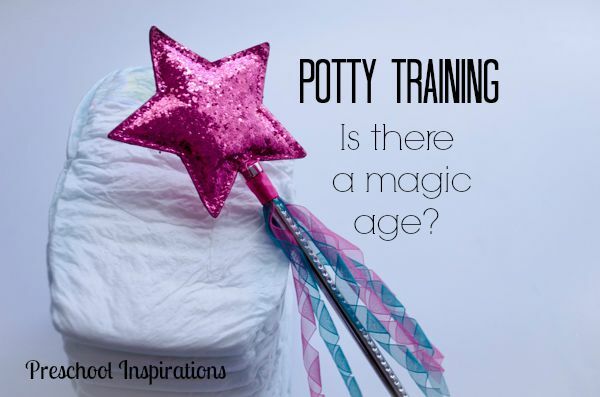 Potty Training: Is There a Magic Age? I get this question a lot! What age should a child be potty trained? Is there a magic age? With almost 15 years of potty training experience, I can definitely help you out! If you want to potty train your child at one, I’m going to tell you, “whoa! slam on those brakes!” One year olds just started walking — literally! Now, if they ask for some underwear (completely unprompted), you might stand a chance. It’s like a 1% chance though. If you are feeling extra lucky, maybe just buy a lottery ticket instead. The age of two sounds awfully enticing. For a decent handful of children, this is the right age. Again, wait on the little one to show there is interest. And by that I mean lots of interest. Two is that age where kiddos start talking about the toilet, but many of them are not quite ready. Sometimes your sweetheart may ask to go potty and be super excited. Then the potty is not so exciting. In fact it can become dreadful. Take it slow at two! I give you permission not to rush!! Three is my favorite age to support children in using the toilet! So many kiddos start at two and do not really progress until three. Then we have wasted so much time!! Children who learn to use the toilet at three are also usually fast. It’s amazing what a little bit of waiting can do. Four is also a very appropriate age for children to use the toilet. In fact, most children are not showing complete proficiency and independence until four years old, no matter what age they start. They can use the toilet and wipe, and I don’t have to go running in there with disinfectant and handfuls of paper towels. Accidents are a thing of the past, and they can even wash their hands. Now if only they would remember each time :). So as you can see, the magic age to support a child with the toilet is when a child is completely ready. Each child is wonderfully different, and for some it is younger, and for many more, it’s older. Let your child’s abilities lead the way and success will come! I promise!